The Cultural Innovation Award recognizes a leader who has made a positive impact on the company and/or industry's culture. 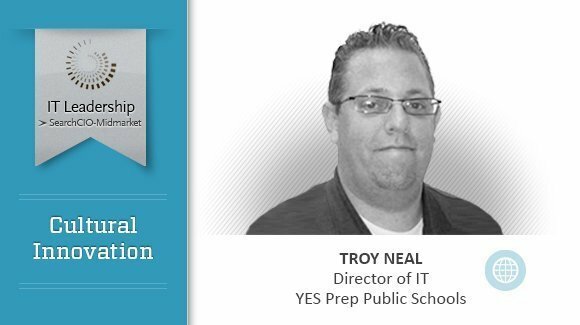 Our Cultural Innovation Award winner, Troy Neal, director of IT at the YES Prep Public Schools, which provide college-prep services to 5,400 students, was hired and charged with building a cost-effective IT infrastructure from the ground up. Then Hurricane Ike wiped out what IT infrastructure the staff had developed, and Neal had to build it again. To learn more about Neal and his work, read our Q&A.